Hold on to your gag reflexes, folks! It’s going to be a bumpy ride. New research published in the journal IUCrJ claims that milk from a species of lactating cockroaches might be the next big superfood. Now, we just used the term “lactating cockroaches,” so if you have a weak stomach, feel free to pause here for a breather. OK, ready? Let’s proceed. The Pacific beetle cockroach (Diploptera punctata) is unique in that it births live young instead of laying eggs. This cockroach feeds its young a milky substance. The baby cockroaches ingest this milk, where it crystallizes in their stomachs. 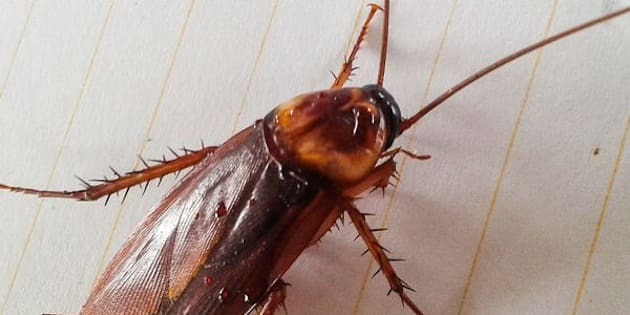 A team of scientists from India, France, Japan, Canada and the National Institutes of Health (NIH) in America analyzed these crystals, estimating that a single cockroach milk crystal contains more than three times the energy of an equivalent amount of buffalo milk. The milk is quite nutritious, containing all of the essential amino acids, plus carbohydrates and lipids. Even more impressive is the milk’s release mechanism, which allows the crystal to release protein at the same rate your body consumes it. Cockroach milk’s time-released nature and high protein and energy content could make it an ideal supplement for athletes looking to recover after a workout. Cockroach milk is not yet available for human consumption. Further examination is required to see if roach milk is toxic to humans. If roach milk is ever produced, it likely won’t even come from roaches themselves. The substance would probably come from bioengineered yeast, researcher Subramanian Ramaswamy told The Washington Post. “I don’t think anyone is going to like it if you tell them, ‘We extracted crystals from a cockroach and that is going to be food,’” Ramaswamy told the Post. After gagging our way through this research, we can’t say we disagree.